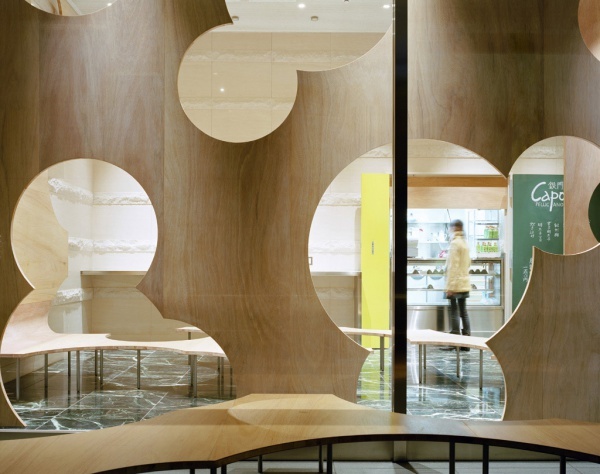 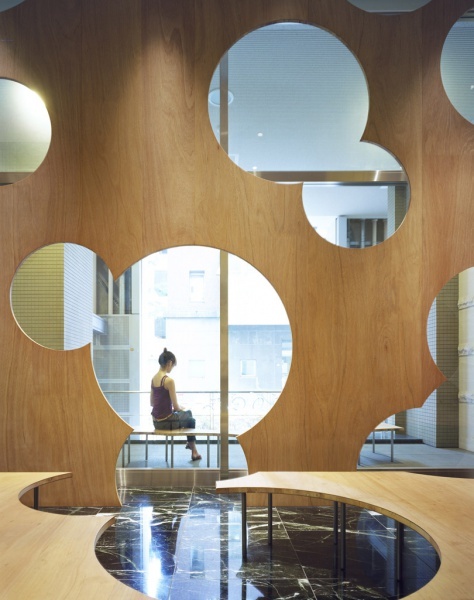 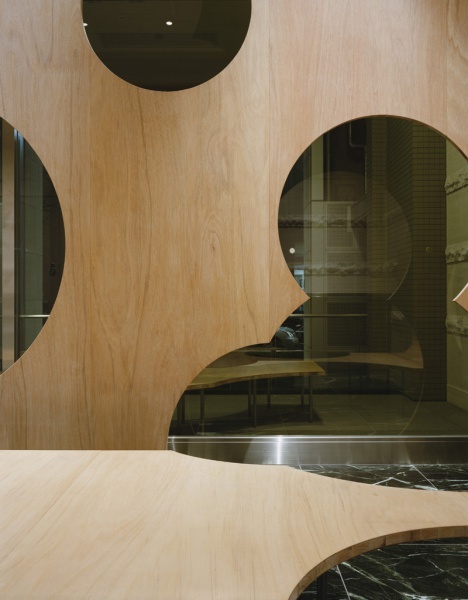 This is an interior designing project for a cafe space located at the side of the entrance of Faculty of Medicine Experimental Research Building in the University of Tokyo. 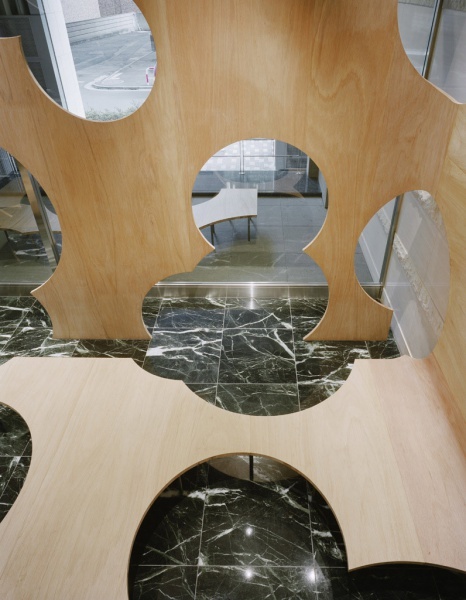 At first the place was just a waiting room with a vending machine and was covered with hard materials, such as stone flooring, walls, and stainless window sash. 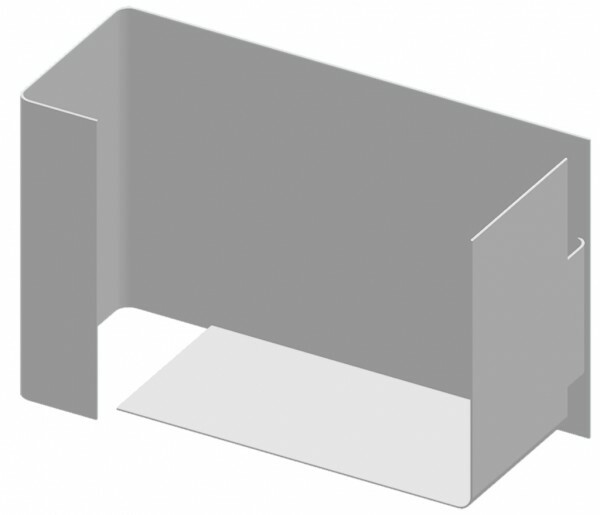 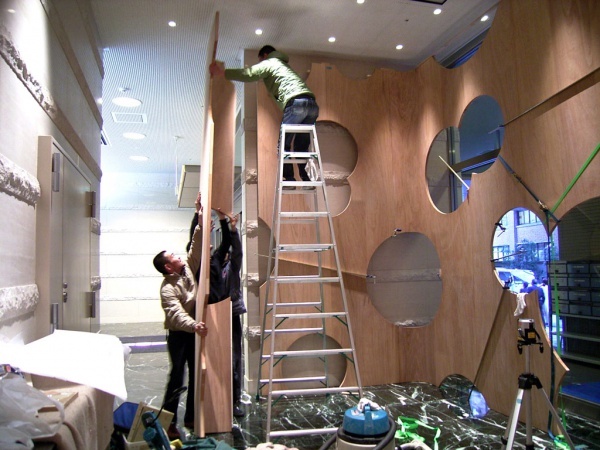 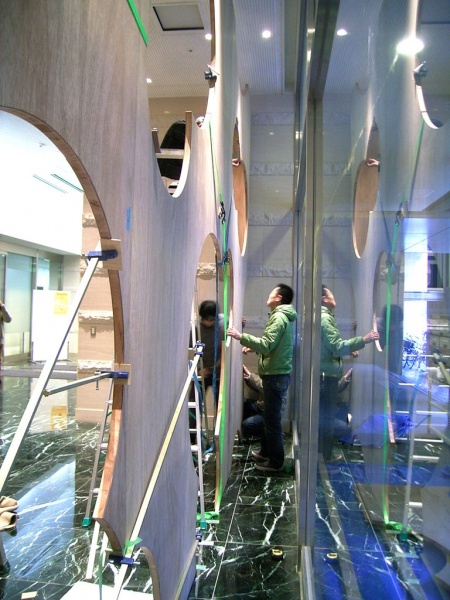 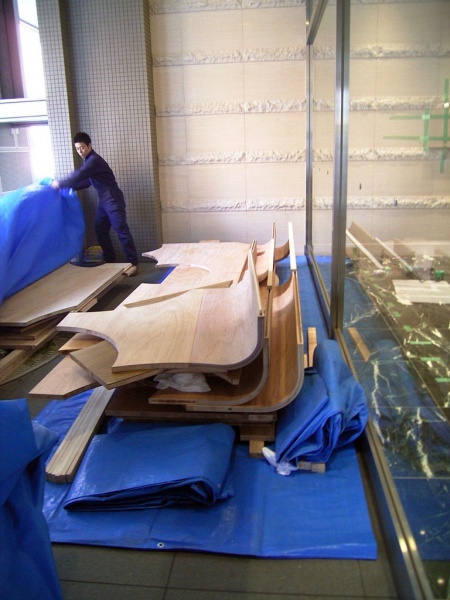 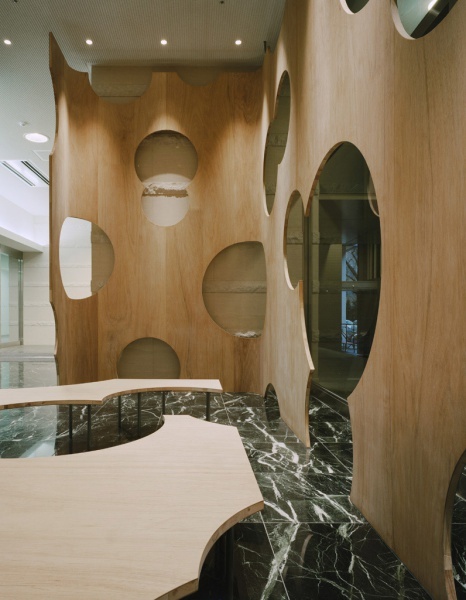 In order to offset the feeling of such hard materials, we used two L-shaped wooden objects placed in a different orientation, one to be a partition wall, and the other for a bench. 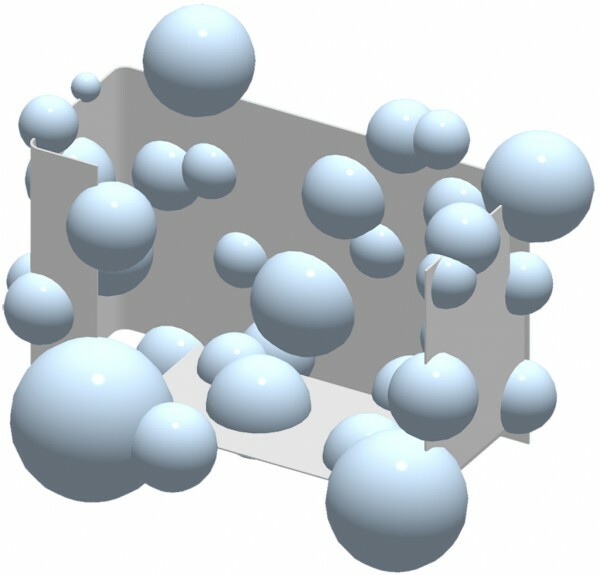 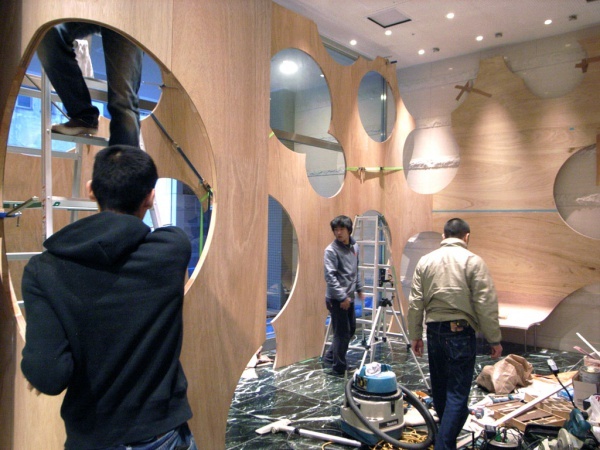 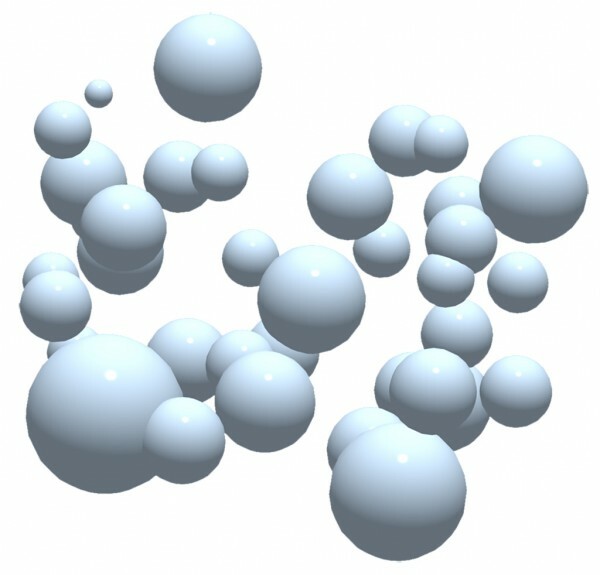 Imagining variously-sized spheres floating around in three-dimensional space, we cut circles out of the partition wall and bench as if the floating spheres burst and made holes on contact with them. 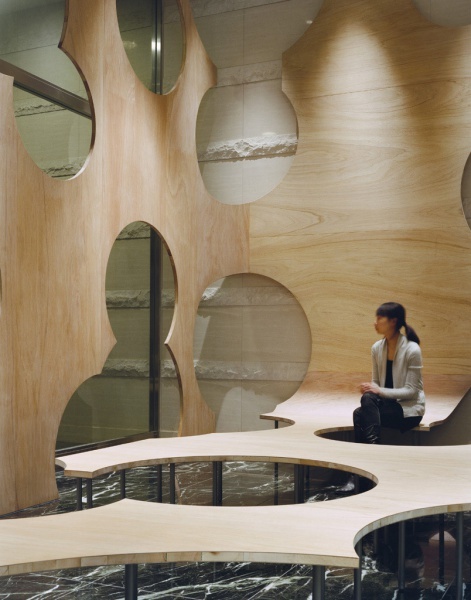 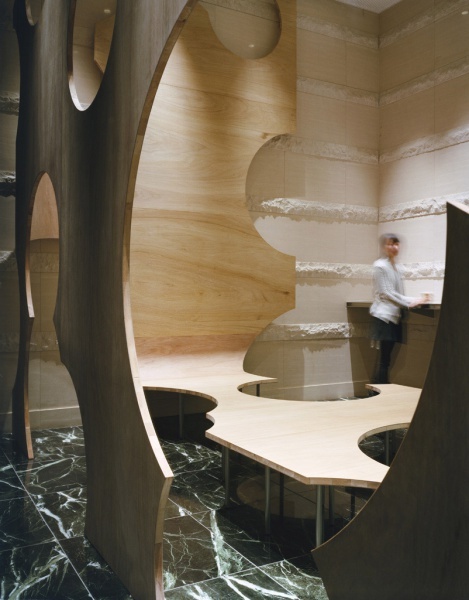 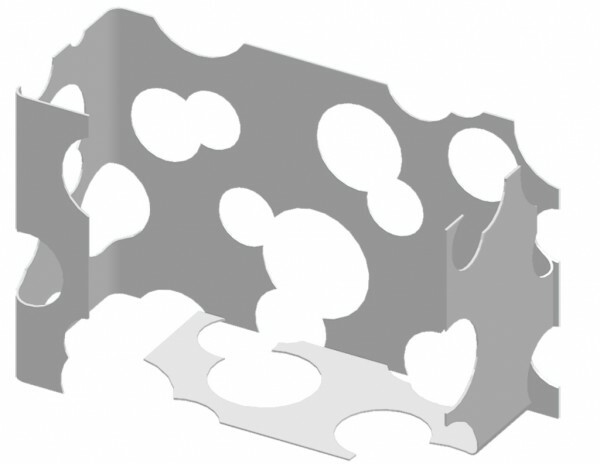 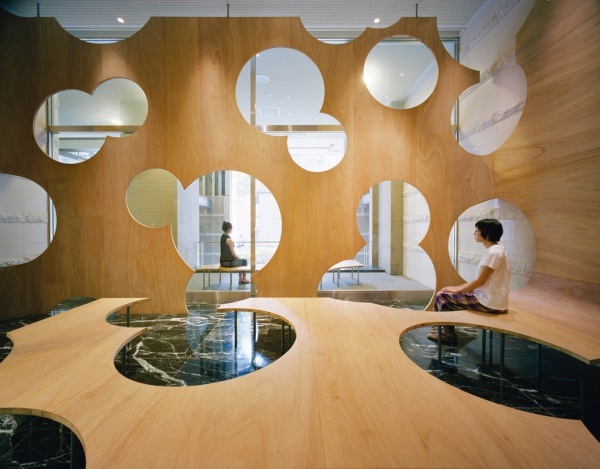 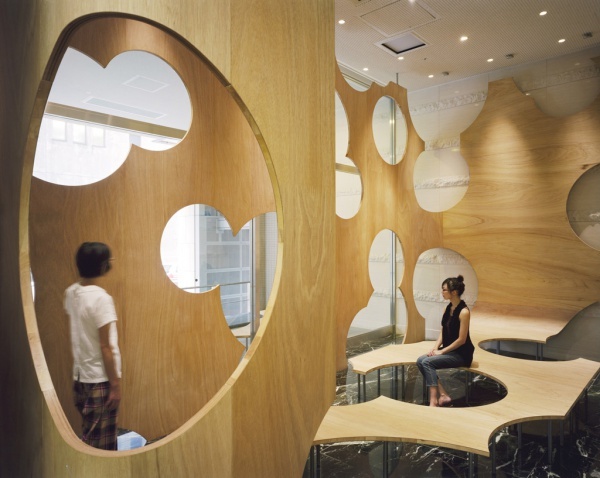 People can see the surrounding scenery through the holes on the partition wall and hang out with other people sitting on the bench. 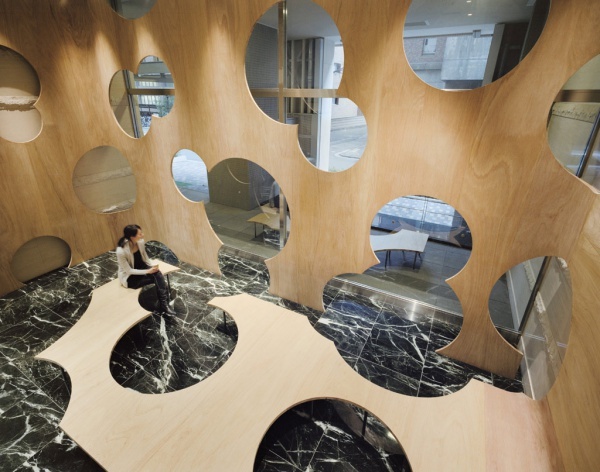 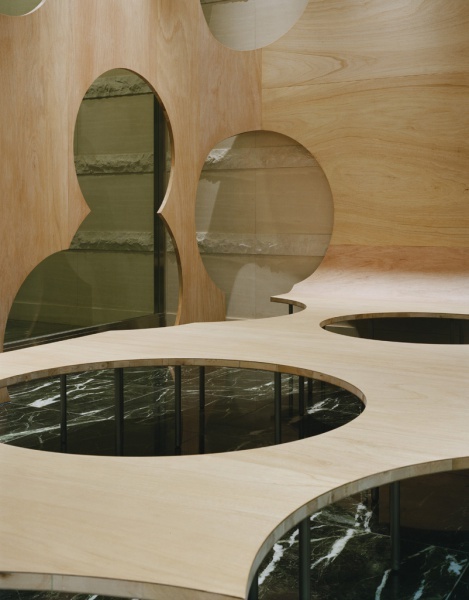 Holes overlapping each other make the place feel more open as if there were floating spheres passing through the wall and ceiling, and framed scenery through the hole provides people a new perspective from which to view everyday life.